There’s a reason Pippa is the It Girl of European espionage circles – she can steal anything from anywhere. And she keeps things simple. Nothing matters but the mission. Spies don’t fall in love. 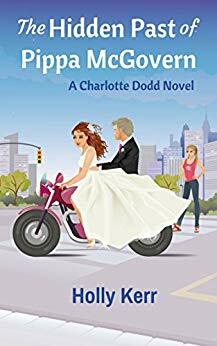 Pippa’s got a plan and it’s a good one, at least until a pair of blue eyes and a fast car get in her way and make her think twice about everything she’s ever believed in. There’s a reason spies don’t fall in love, especially with the good guys. $0.99 on Kindle.